"The Pirate Chamber" takes place aboard The Queen Anne's Revenge in 1718... "The Golden Age of Piracy." Captain Edward Teach, best known to history as "Blackbeard the Pirate", recently had his plans to sail for America disrupted by a group of sneak-thieves. Digging deep into his dastardly imagination, Blackbeard has deployed more devious devices to distract his detractors - All in the name of keeping the genuine treasure map containing the whereabouts of his REAL riches high and dry! "The Pirate Chamber - Heist on the High Seas: Chapter II" is the sequel to our critically-acclaimed original escape room experience! There are enough new clues, new puzzles, and new surprises to challenge newcomers and veterans alike! 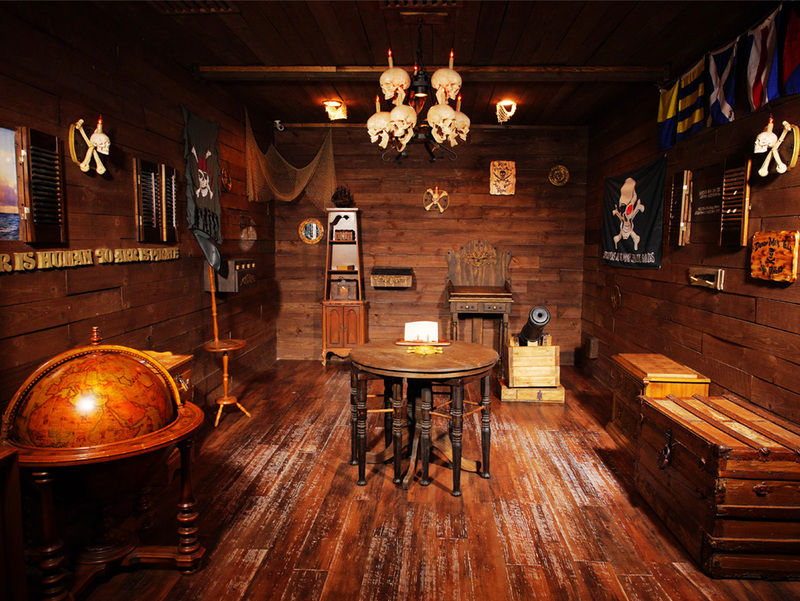 "The Pirate Chamber" was the first escape room challenge featured at the original The Secret Chambers location! 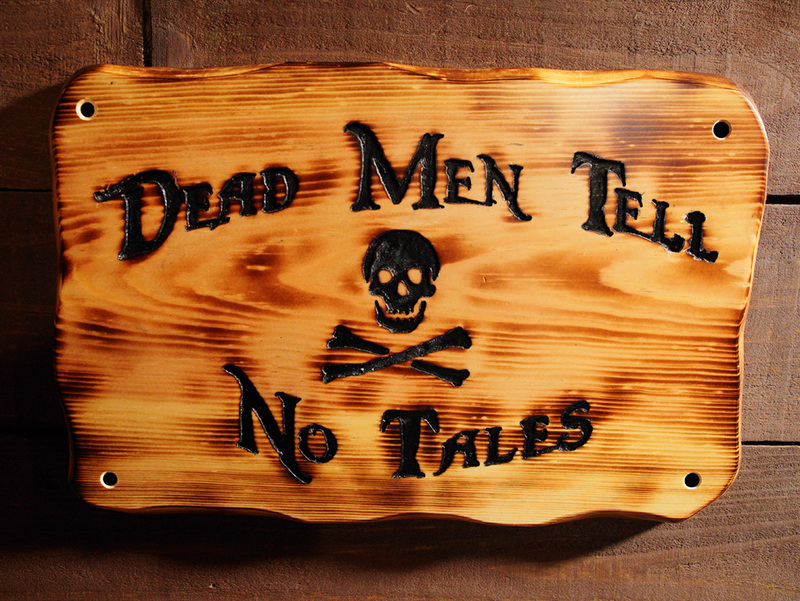 The level of detail and immersion in "The Pirate Chamber" is so great, Walt Disney Studios partnered with us to promote the theatrical and home video release of "Pirates of the Caribbean - Dead Men Tell No Tales"! 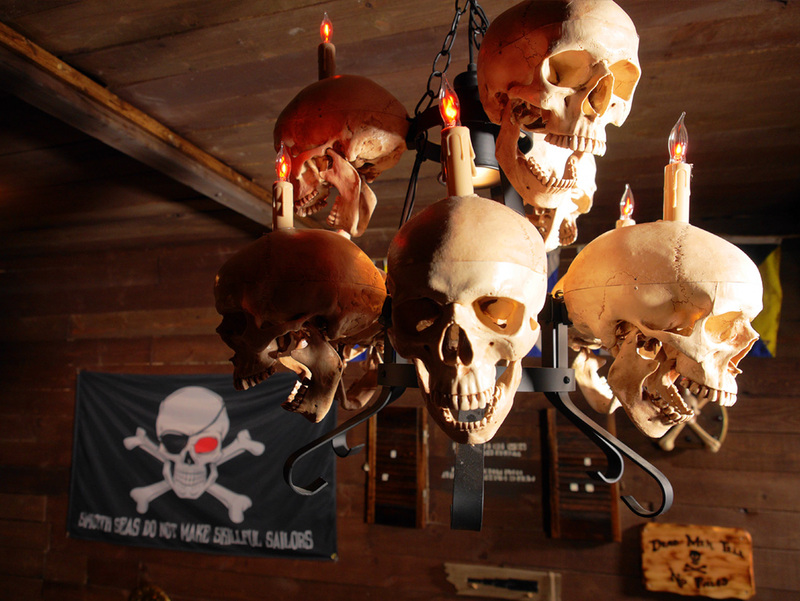 "The Pirate Chamber" features new immersion elements created by The Special Effects Team at The Secret Chambers! Finally, there’s special golden pirate coins hidden throughout the room. If you get stuck and need a push in the right direction or help recounting your progress, these special coins can be traded for a precious clue! To book a reservation 24/7 for “The Pirate Chamber – Heist on the High Seas: Chapter II”, you will need to visit our Booking Page. All Escape Room Challenges MUST be paid for at the time your reservation is made! Cold Drinks, Group Photos, T-Shirts, and other official merchandise from “The Secret Chambers” is available for sale in our lobby. We accept Cash or Credit / Debit on-site for merchandise sales and additional General Admission. Our escape rooms may contain stairs, low lights, strobing lights, crawlspaces or other obstacles. For specific questions, please call us.